To visit Hancock Shaker Village is to travel back to a simpler time. The site, buildings and interpreters are a refreshing change from the hustle and bustle of contemporary life. Depending on the season, you may witness furniture making, sheep shearing, organic gardening, ice cutting or one of a hundred other survival skills the Shakers practiced. Paul Muldoon, a 67 year old New Yorker, originally from Northern Ireland, recited his poetry while the band, Rogue Olifant, played accompanying music. The evening at Hancock Shaker Village emulated a 1960s scene from my past. A great day trip that enlightens and enriches the soul is as close as Berkshire county, home of Hancock Shaker Village. Spending a day learning about the Shakers, sharing dinner and thought with Peter Jennings son, Chris Jennings, and attending a concert with members of WILCO and transplanted local troubadour, Johnny Irion, can turn any day into sunshine. Hancock Shaker Village, near Pittsfield, Massachusetts, was decorated for the holidays during a late afternoon stroll with carolers, musicians and dressed-up staff from this timeless Shaker community. Drinks, Shaker Holiday carols and festive food was served as guests listened to Shaker stories and songs. 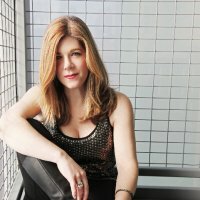 Dar Williams talks about her new book, 'What I Found in a Thousand Towns: A Traveling Musician's Guide to Rebuilding America's Communities One Coffee Shop, Dog Run and Open-Mike Night at a Time.' BBQ, Bourbon and beer are on the menu at Hancock Shaker Village. Works by Stephen Hannock are in global museum collections. His Oxbow painting in the Metropolitan Museum of Art will be included in a survey of Hudson River artist Thomas Cole. Hannock's mate Sting will also be involved in the project. When he created paintings for his friend's hometown of Newscastle the studies were shown at the Berkshire Museum. He gave one of the studies to the museum to honor philanthropist Nancy Fitzgerald. The fact of that work and the entire fine arts collection of the museum is unknown. We talked at length with the Berkshire based global artist about the impact of the museum's strategy to sell its fine arts collection with a radical makeover as an interactive educational museum for history and science. Ex-Governor, Deval Patrick, will host the first, 'Food For Thought', speaker series at Hancock Shaker Village on Friday, May 12th. He will talk over dinner about his autobiography, A Reason To Believe. Shakers Know How To Cook. The Shakers took full advantage of nature's bounty. Fresh vegetables, homegrown herbs and raised livestock were a daily feature on the Shaker menu. After experiencing one of these special 'Harvest Suppers', a realization occurred to me that there are two more meals being offered this October and that one should consider taking advantage of this opportunity. Hancock Shaker Village is world renowned for its useful simplicity. A visit to this wonderful community, located in Pittsfield, Massachusetts is a rewarding experience. On September 9th, a Shaker auction will take place, as well as the first of a series of Shaker Harvest Suppers. No it ain't Mardi Gras in New Orleans but Pittsfield is giving it a shot. Shake off the funk with the annual city wide Ten by Ten Festival. There's lots to do so bundle up and break out of the cabin. Some five years previously, Robert Wilson explained, he had been approached by the mayor of Oberammergau, a community of 5,000 that has been presenting a Passion Play, every ten years, since 1634. 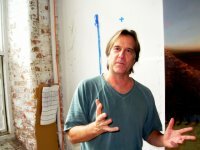 The resultant 14 Stations were reinstalled at Mass MoCA in 2001 where they remained on view for a year. This report is reposted from Maverick Arts Magazine. Revival of 2004 Collaboration with The Boston Camerata. For 71 minutes I got religion while completely absorbed by the Shaker inspired Borrowed Light a collaboration between Tero Saarinen Company and The Boston Camerata. The 2004 work had its 2006 U.S. premiere at Jacob's Pillow and has returned via "popular demand" for Pillow's 80th season. It was a stunning highlight of an anniversary celebration. The lively and much anticipated Fifth Annual Berkshire Salon 2012 is dedicated in memory of the recently deceased Eclipse Mill resident Norman Thomas. A grid of his Cubist/ Pop paintings is featured in the installation of works by some forty regional artists. The Salon is open on weekends in North Adams from May 18 through June 10. Hancock Shaker Village (HSV) announces the living history museum’s 2012 plans at a press conference today. The 52nd season will run from April 7 through October 28. It includes a major new exhibition titled A Promising Venture: Shaker Photographs from the WPA, which features the work of photographer Noel Vicentini, who was hired as part of the Works Progress Administration (WPA) Federal Art Project in 1936 to document the Shaker villages in upstate New York and western Massachusetts for the newly-formed Index of American Design. In addition to exhibitions the Berkshire museum features an aquarium and the renowned Little Cinema. Here is a break down of exhibitions and events through mid July. The Berkshire International Film Festival announced the winners of the annual BIFF Juried Prize Award and the BIFF Audience Award. In the Juried documentary category, the winner was CRIME AFTER CRIME directed by Yoav Potash, the powerful documentary film on the legal battle to free Debbie Peagler, a woman imprisoned for over a quarter century due to her connection to the murder of the man who abused her. The annual Berkshire International Film Festival will run from June 2 through 5. The film festival will feature some 70 US and international independent feature films, documentaries, and shorts. Hancock Shaker Village kicks off its 2011 season with a painting exhibition titled â€œBlack & White Barnyardâ€ by Stockbridge-based artist Susan Merrill. The exhibition will run during â€œBaby Animals on the Shaker Farmâ€ April 16 through May 8 from noon to 4pm daily in the Poultry House. It will feature paintings of animals with black and white markings from the Village and surrounding local farms. Hancock Shaker Village (HSV) has received a $1 million grant from the Kresge Foundation. The grant was awarded as part of its Sector Leaders investments, an invitation-only component of the Kresge Arts and Culture Program’s Institutional Capitalization initiative. 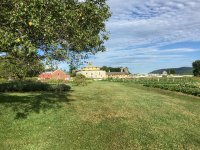 Hancock Shaker Village (HSV) and UMass Amherst will host an open house for prospective students to learn about the new Master of Science in Design with a concentration in Historic Preservation program on Saturday, December 11 from noon to 2pm at Hancock Shaker Village (1843 W. Housatonic St., Pittsfield, MA). Please RSVP to Dr. Steven Bedford, program director, at 413.443.0188 ext. 239 or sbedford@hancockshakervillage.org. Back in the day the Berkshire Museum, the oldest in the region, collected everything from soup to nuts. The museum's director, Stuart Chase, is challenged to find projects drawn from a vast collection of 30,000 objects. The interactive exhibitions are fun for families and instructive for 13,000 annual visiting students. June is bustin' out all over, and our resident performing arts organizations are pulling out all the stops as the season approaches. Once again we provide our handy guide to upcoming Berkshire events.